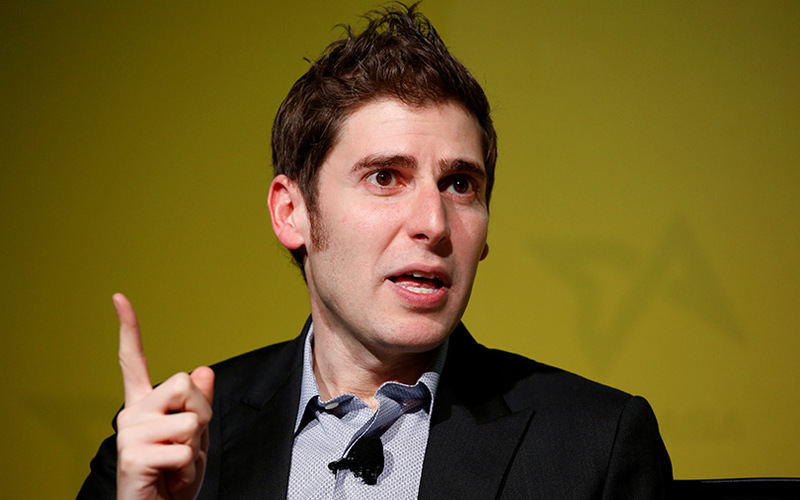 B Capital Group, the venture capital firm started by Facebook co-founder Eduardo Saverin, has invested $10 million (Rs 65 crore) in Mswipe Technologies Pvt. Ltd as part of the Mumbai-based mobile point-of-sale services provider's Series D round. Existing investor DSG Consumer Partners also put money in the top-up round, Mswipe said in a statement. The latest investment takes the total Series D funding to more than $40 million (around Rs 258 crore), it added. This marks B Capital’s first direct investment into an Indian company. As part of the deal, Saverin will join Mswipe’s board. As part of the Series D round, Mswipe had raised $31 million in June from Ratan Tata's UC-RNT Fund and VC firm Matrix Partners India. Existing investors Falcon Edge Capital and DSG Consumer Partners had also participated in the round. The company will use the funds to expand its digital payments acceptance and to strengthen its product development capability, the statement said. Mswipe has a network of 280,000 terminals spread over 650 cities and towns. “While the US has been the traditional anchor for innovative technology, we are seeing disruptive innovation emerging from geographies like India,” said Kabir Narang, partner at B Capital. Saverin, in his personal capacity, made his first direct Indian investment into Mumbai-based baby products e-tailer Hopscotch in 2016. In a separate telephonic interaction with VCCircle, Narang said that the company is actively evaluating potential investments at the Series B and Series C stages into Indian startups, as part of its investment strategy and is in various levels of discussions with multiple companies. “As a fund, we like to involve ourselves with companies that have attained a certain level of maturity and scale. Our focus areas are fin-tech, enterprise tech, and consumer internet. We have the investment appetite to write cheque sizes of anywhere between $10 million and $25 million into our investee companies,” said Narang. Narang, who joined B Capital in March this year, oversees the fund’s investments into Asia as well as global fin-tech and software-as-a-service. He has 15 years of experience in management consulting and private equity. At Eight Roads Ventures (formerly Fidelity Growth Partners), he led investments in technology, consumer and financial services. Prior to joining Eight Roads, Narang was with Warburg Pincus where he focused on healthcare delivery, financial services, IT services and business process outsourcing. B Capital was started in 2016 by Saverin and Silicon Valley Indian-origin investor Raj Ganguly. The VC firm invests in technology companies in the US, India, China, Israel and Southeast Asia. While Narang did not divulge the total size of the fund, it has raised about $324.6 million till date, based on the fund’s filings with the US Securities and Exchange Commission. In May last year, it achieved the first closure of its fund at $143.6 million. “We have made a total of six investment (including MSwipe) over the last 12 months,” added Narang. The company was founded in March 2011 by Manish Patel, who has a degree in medicine from Mumbai University. He earlier co-founded Milestone Merchandise, an alcohol-beverages distribution company. Mswipe offers point-of-sale solutions to small- and medium-sized businesses, enabling plastic card payments via mobile phones. It also provides a card reader that can be attached to any mobile handset with a 3.5mm headphone jack. The card reader converts the mobile phone into a card acceptance device. Besides card payments, the company also enables merchants to accept digital payments from platforms like UPI, Google Tez, PhonePe, Bharat QR, and BHIM. The annualised value of total transactions enabled by Mswipe across its network is over Rs 9,560 crore, the company had said earlier in June this year. In May this year, Mswipe acquired the offline merchant PoS division of digital payments firm PayU India, as part of its offline push.